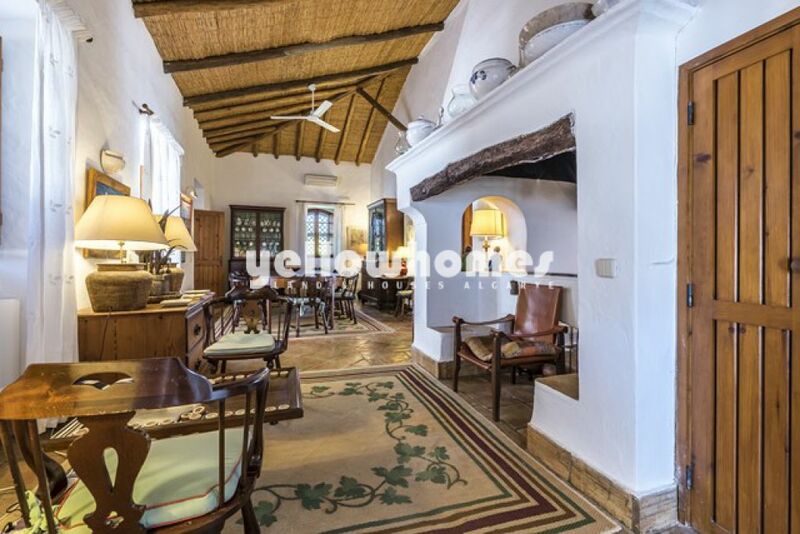 This exceptional and stunning Quinta style property with several annexes is a typical Algarvean style property originally built in the early century. 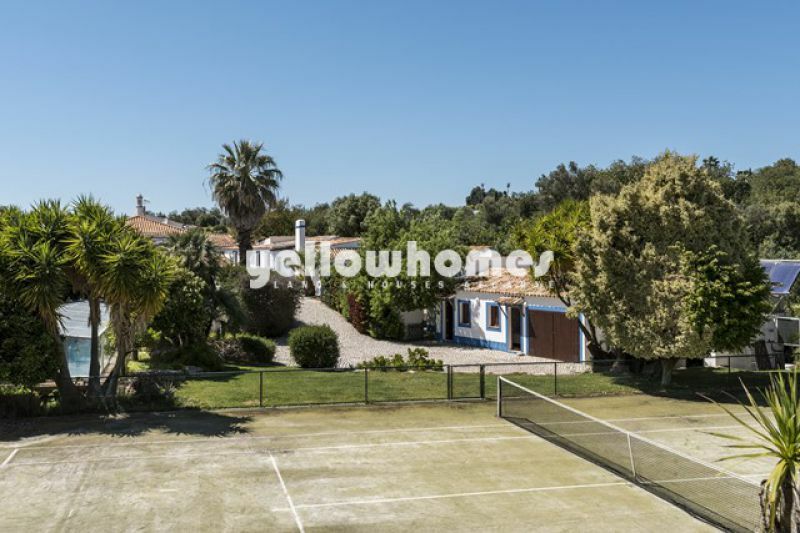 The property embraces a total construction size of around 700m2 and is set on a huge hilltop plot with beautiful sea views, swimming pools and tennis court yet only a short drive away from Vilamoura, all amenities, beaches and golf courses. Also Faro Airport takes only 25 min by car. The main house, which is a two-storey villa, has been tastefully renovated over the years. 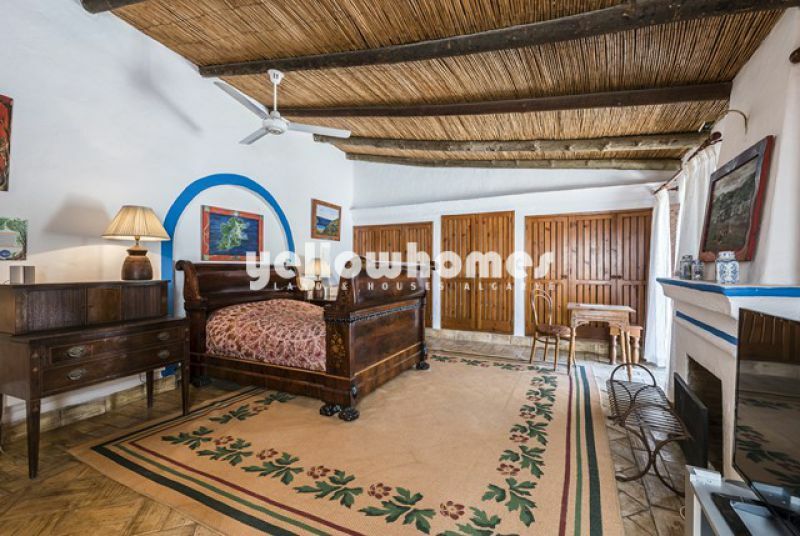 The cosy ambience with many original features, like high beamed cane ceilings, have been kept. 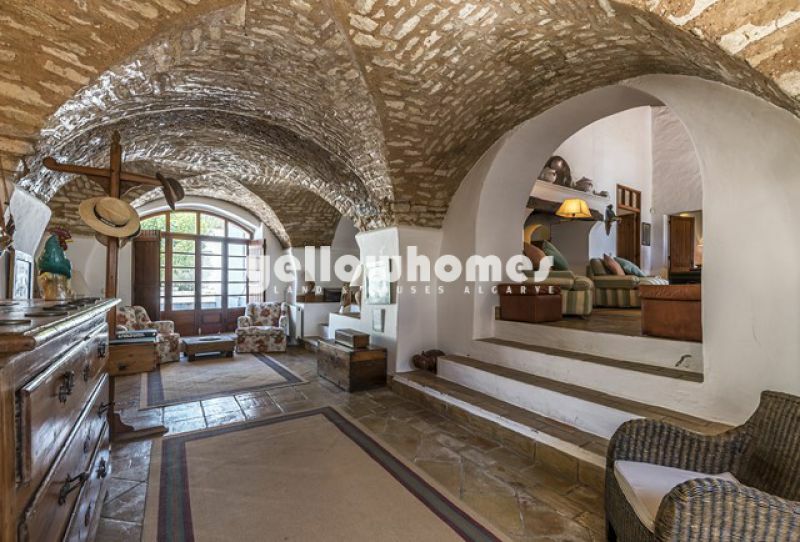 The building comprises of an entrance area with vaulted stone ceilings, three bedrooms (1x en-suite), two bathrooms and three more linked rooms with beautiful fireplaces. 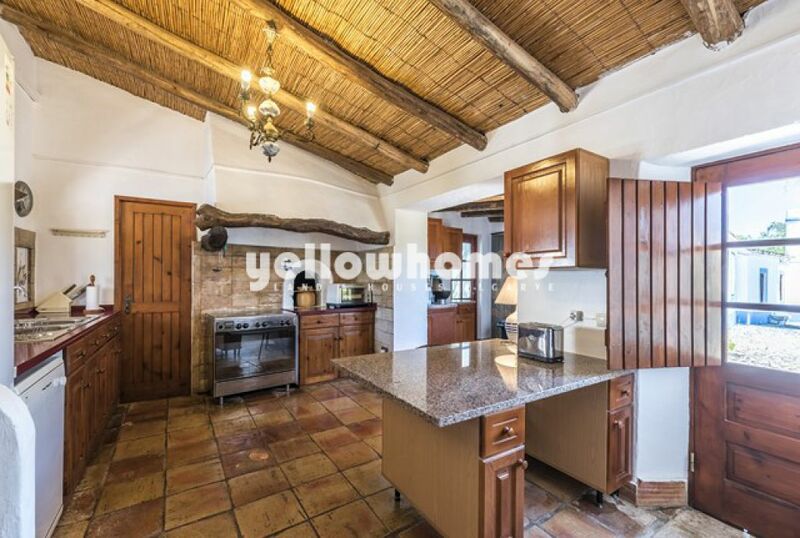 Furthermore there is a spacious, rustic-style kitchen plus a storage room. 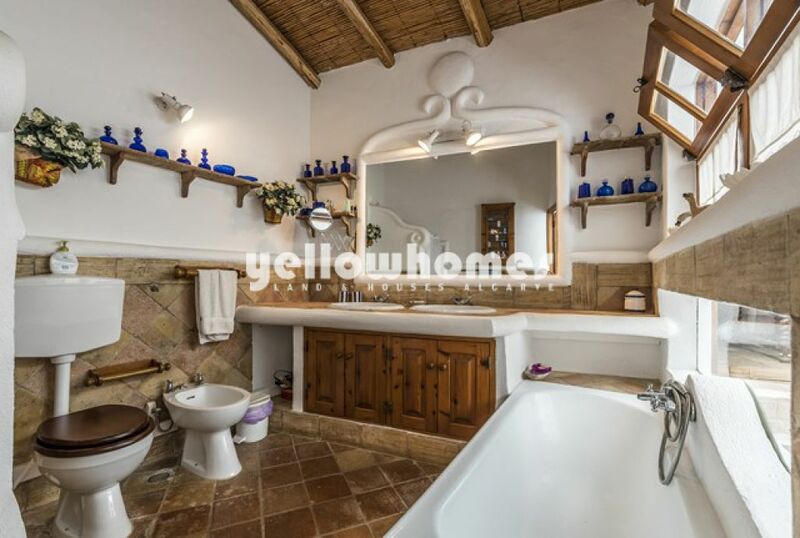 The first-floor consists of two more bedrooms (one with a terrace) and a shared bathroom. Several annexes offering plenty of space for guests or a large family; annex 1: two bedrooms with living room, kitchen and two bathrooms; annex 2: utility room, annex 3: used as a gym; plus a further 8 attached annexes each with independent entrances. The totally fenced property has large cobble stone driveways and areas plus a mature garden including a tennis court and 2 pools (1x with cover). There is also ample parking space for several cars within the plot. 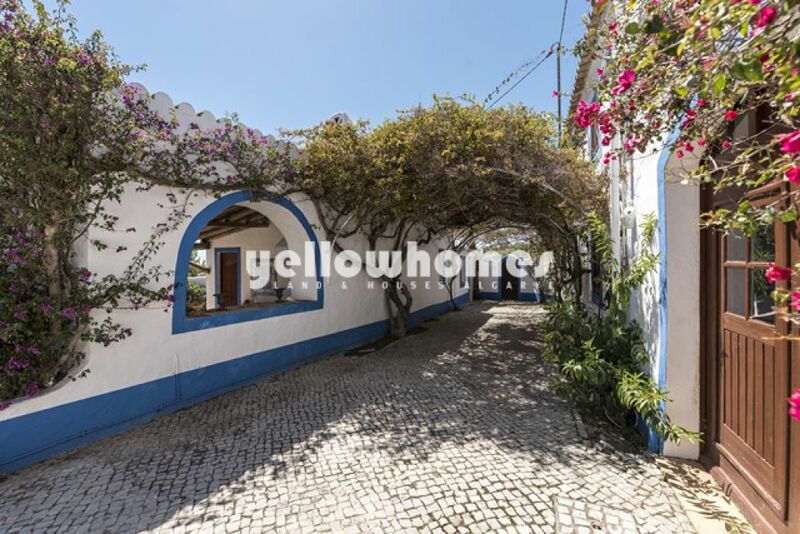 This outstanding and rare Portuguese heritage influenced property would make a wonderful and large family home or could be perfect for a small Hotel / B&B business. 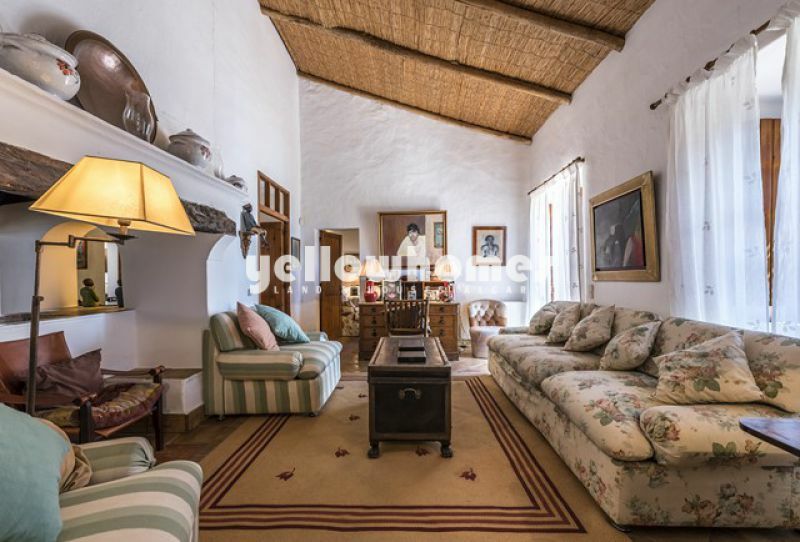 If you are looking for a charming and very spacious property full of character within a short drive to all amenities of the beautiful Algarve, then don?t look no further and book your viewing with us! Energy certificate class E.